This self-guided tour app is part of our ongoing Vacant America project. 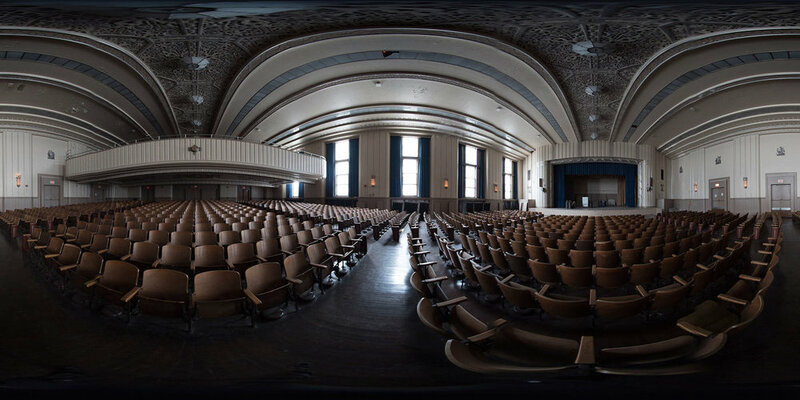 The goal of the VR experience was to capture the BOK school prior to any of its renovations, allowing the viewer to see the school in it's shuttered state. 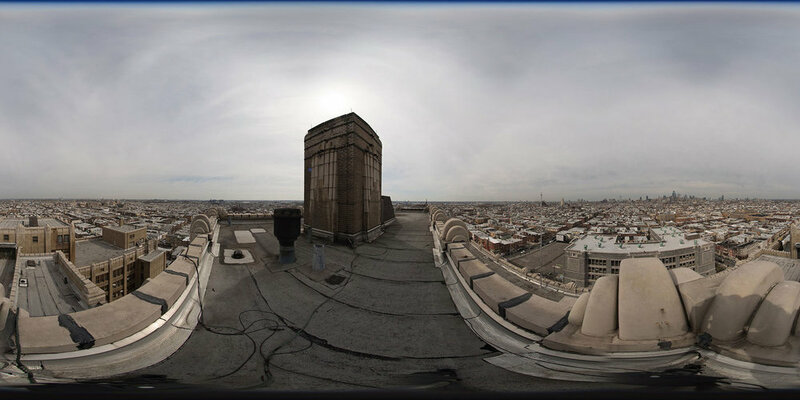 Using a stereoscopic 360 still camera we captured high resolution images from the boiler room in the basement, to the abandoned 7th floor, to the rooftop deck overlooking the city. The development of this app was funded by a grant from Creative Capital. As we explored the various spaces around the school, it appeared as if one day the teachers, students, & staff all vanished. Chalkboards with lessons plans, homework on desks, and a library full of books all sat frozen in time. In order to give a glimpse into the past we decided to use photographs we had found in yearbooks that were left behind in the school. Searching through decades of yearbooks, we looked for photographs that we could match back to a specific location. We then took these photographs and set them in perspective within the VR space. This allows the viewer to experience a juxtaposition of the building as a thriving school to an abandoned space.